David Bowie’s Never Let Me Down album, while frequently panned, then and now, by the musical elite (and by some fans) for not being his best work, holds a special place in my heart. It was at the time of this record’s release and subsequent world tour that I was most deeply immersed in my Bowie fandom. I had just begun publishing a David Bowie newsletter with legendary fan Rose Winters called ‘Bowie Bits’ (her name, not mine! It would soon be changed to ‘Sound & Vision’), and I followed the European and U.S. legs of that tour, reporting on the highly ambitious and wildly extravagant Glass Spider Tour shows. So now, 31 years later (egads! 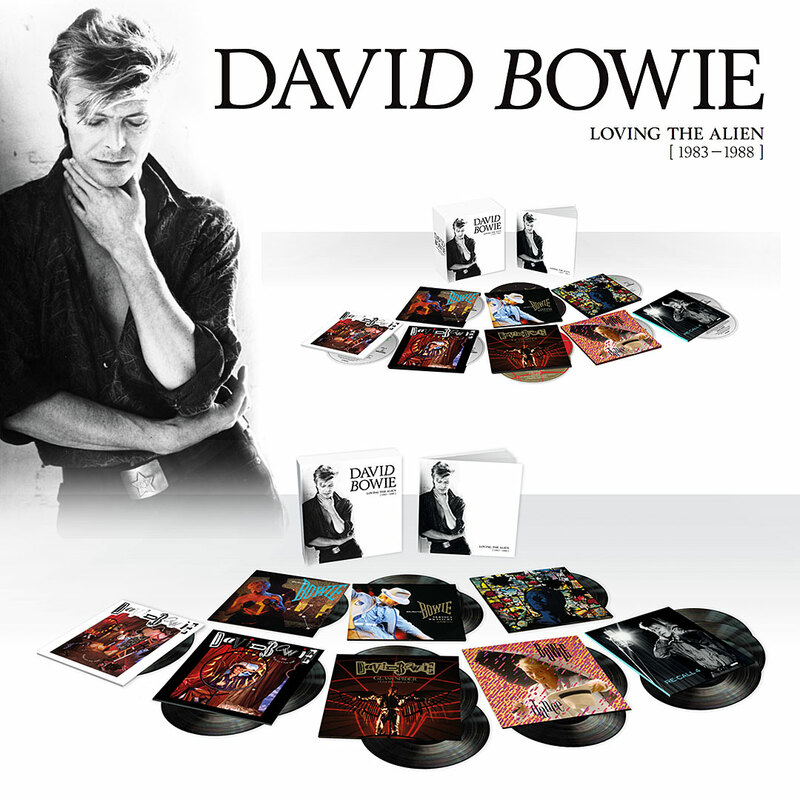 ), the much-maligned Never Let Me Down album has been not just re-recorded but remade by former Bowie collaborators Reeves Gabrels, Mario McNulty and others, as part of an eye-popping 11-CD, 15-record box set called Loving The Alien (Warner Music/Parlophone), which will see its release on October 12. Before I launch into all the info., which is head-spinning, have a listen to “Zeroes,” the first single from the collection. Gone is the overbearing, leaden ’80s production, and in its place, a sleek, clean acoustic guitar centered mix that puts Bowie’s vocals up front and center, where they belong. From the original, they kept the best parts — David’s acoustic guitar and vocals, and Peter Frampton’s classy sitar lines, which come along like a delicate string of pearls to beautifully offset the otherwise sparse and understated instrumentation. The old version now sounds quite dated, but this sparkles brightly and sounds timeless. It’s exquisite. As Reeves reveals in a recent BBC Radio 6 interview, David was not happy with the NLMD album. The year after it came out in 1987, he was already voicing his disappointment with the production. In 2008, he remixed “Time Will Crawl” with McNulty, recording new strings and new drums (courtesy of Bowie’s drummer from 1991-2004, Sterling Campbell, who is also on this upcoming release). 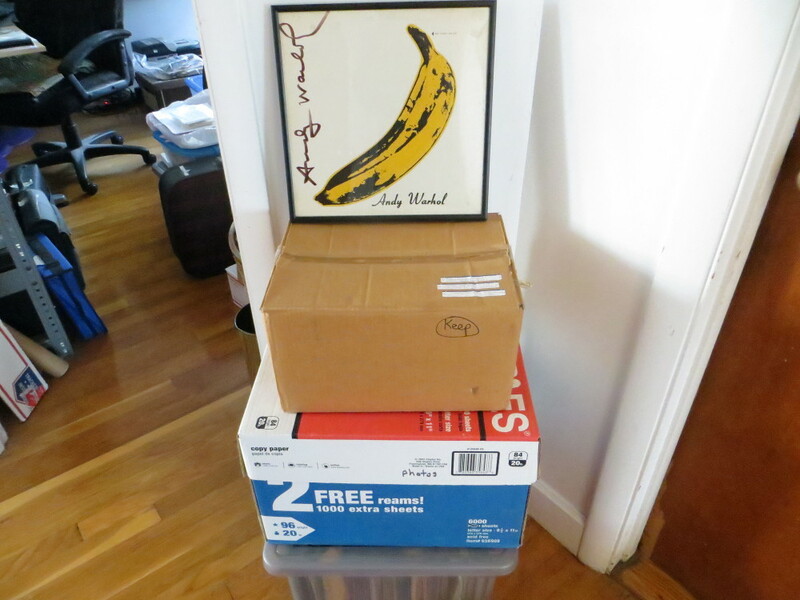 In the album notes, Bowie wrote, “Oh, to redo the rest of the album.” He has now gotten his wish. Other musicians featured on the reimagined Never Let Me Down album include David Torn on guitar and Tim Lefebvre on bass, who played on ★ (Blackstar). Also part of Never Let Me Down (2018) is a string quartet with arrangements by Nico Muhly and a special guest cameo by Laurie Anderson on Shining Star (Makin’ My Love). The set includes newly remastered versions of Let’s Dance, Tonight and Never Let Me Down (original and 2018 versions), Glass Spider (Live Montreal ’87), the previously unreleased Serious Moonlight live album, Dance (a collection of original remixes) and Re:Call 4, a non-album, alternate version, b-sides and soundtrack music compilation. Loving the Alien (1983 – 1988) was clearly designed with the fan in mind. NLMD’s new artwork features previously unpublished images from Greg Gorman’s original cover photo session. The 128-page booklet has rare images from many Bowie photographers of the time, including Gorman, Herb Ritts and Denis O’Regan; historical press reviews and album technical notes from producers/engineers Nile Rodgers, Hugh Padgham, Mario McNulty and Justin Shirley-Smith. Read all the details and see the full track listing for the Loving the Alien (1983 – 1988) box set — and Pre-Order It On Amazon! This is Parlophone Records’ fourth box set in a series of special releases that pays tribute to Bowie’s career from 1969. The other critically acclaimed sets include Five Years (1969 – 1973), Who Can I Be Now? (1974 – 1976) and A New Career in a New Town (1977 – 1982). The first song I worked on was Zeroes… One of the things that we used to do all the time was David and I would often record the acoustic guitars facing each other, both of us playing at the same time. It gave it a little more of a natural feel. So, we would record together. I had my headphones on, and I had my guitar that I was playing in my right ear, and David was in the left ear, and his vocal was in the center in the headphones. I had my eyes closed while I was tracking. And in my mind’s eye, I saw David sitting across from me, and the way his body language was, and the way his eyes would look while he was playing. Because he would get this faraway look, but he was looking at you at the same time. I recorded a pass of me playing acoustic guitar with David, and when I stopped, I opened my eyes, and I expected to see David sitting there. I got that feeling out of the way early, because I knew at some point I was going to hear his vocal or something was going to happen that would bring tears to my eyes… In my mind, he was there.